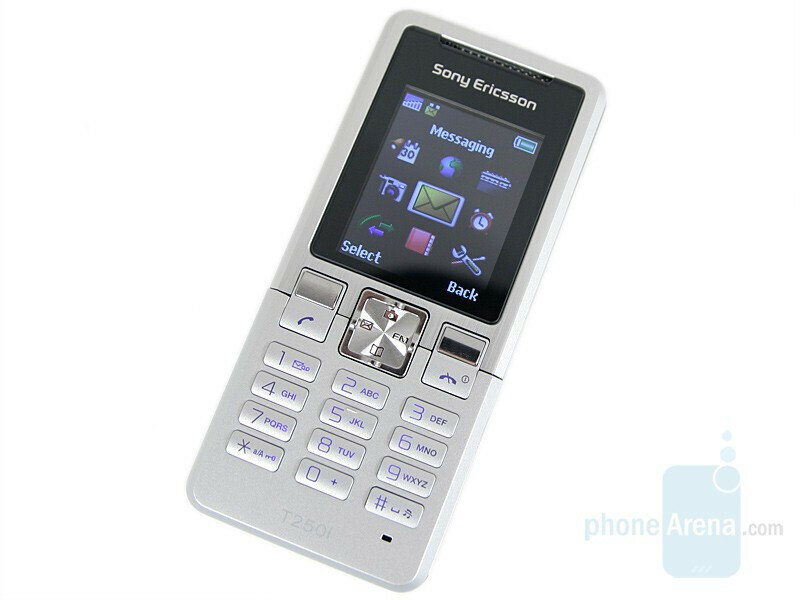 Announced in May, T250 and T650 are the phones to resurrect the T-series of Sony Ericsson, which silently were stopped when the K700 was announced a few years ago. T250 is the budget entry-level phone for first time users. 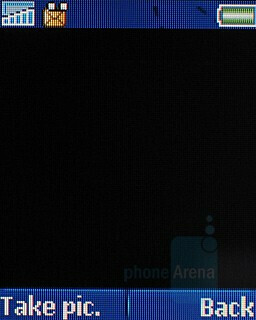 Sony Ericsson follows Motorola and Samsung and tries to offer attractive looking but still cheap mobile phones. 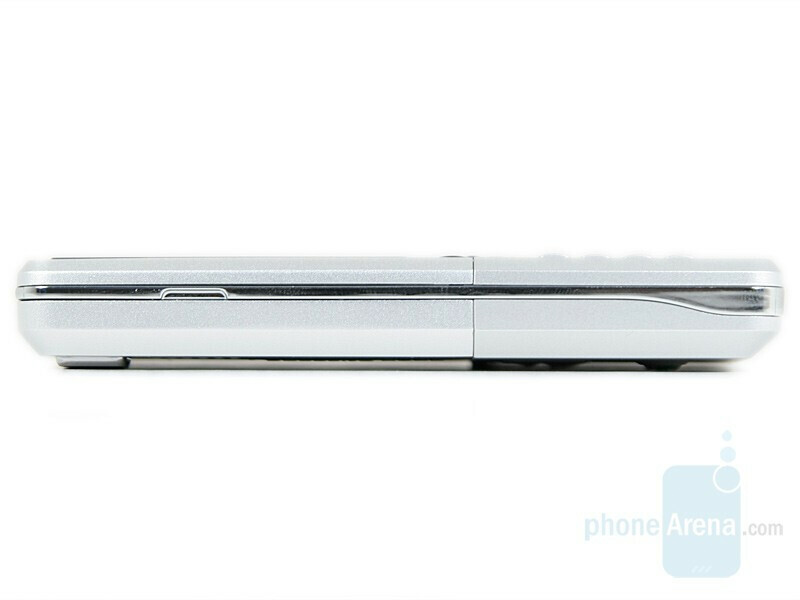 It cuts features off and comes in half inch thick (13mm) candybar design. 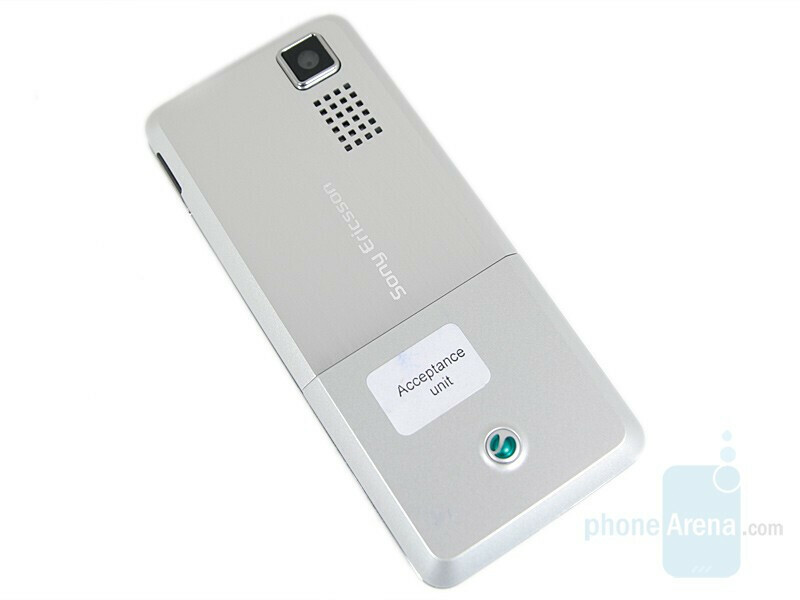 The phone is in silver-grey color with the top half made of brushed aluminum, while the bottom part is a plastic. Fits very well in the hand and gives feeling of a business model. 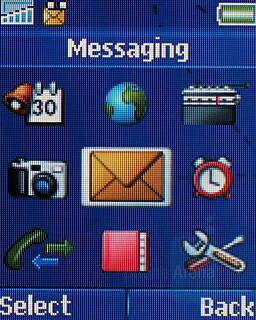 In the black frame on the front are situated the earpiece and the 1.7” 65k color display with resolution of 128x160 pixels. Below are the soft keys, the answer/reject and the 4-way navigation key. The two soft keys and the 4-way key look as if they are made out of metal, and are not illuminated. The 4-way d-pad is smaller than it should and you may hit wrong side. The other keys have blue background light. All the buttons have similar size, about the average, good relief, press easy (soft) and return tactile feedback. On the top is the connector for the charger. The back houses the camera lens and the loudspeaker. The Software is updated version of the one used in previous low-end models, like the Z300. 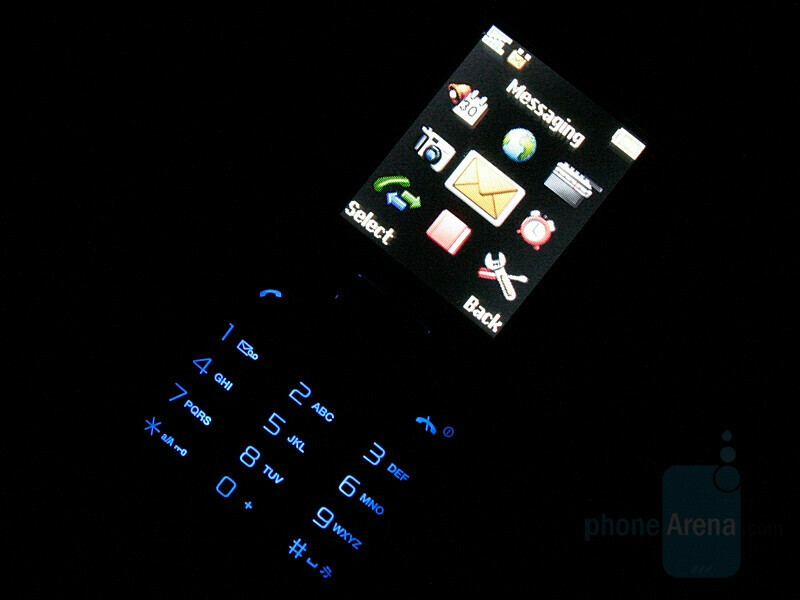 It is different than the one used in higher-end phones, and is adapted for 4-way (instead of 5-) navigation key. It offers just basic things like phonebook with capacity for 300 contacts, each storing up to 3 numbers. 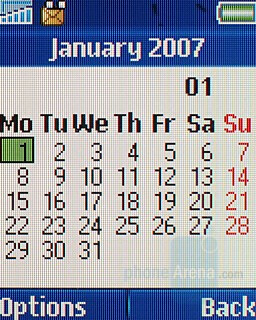 In the extras menu there are calendar, times, stopwatch, calculator, my files and my games menus. The T250 has VGA camera built-in. In its interface there are no options – just key for shooting. 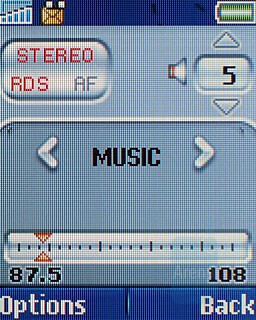 The FM radio provides you with music on the go but you don’t have a music player due to the small amount of memory. 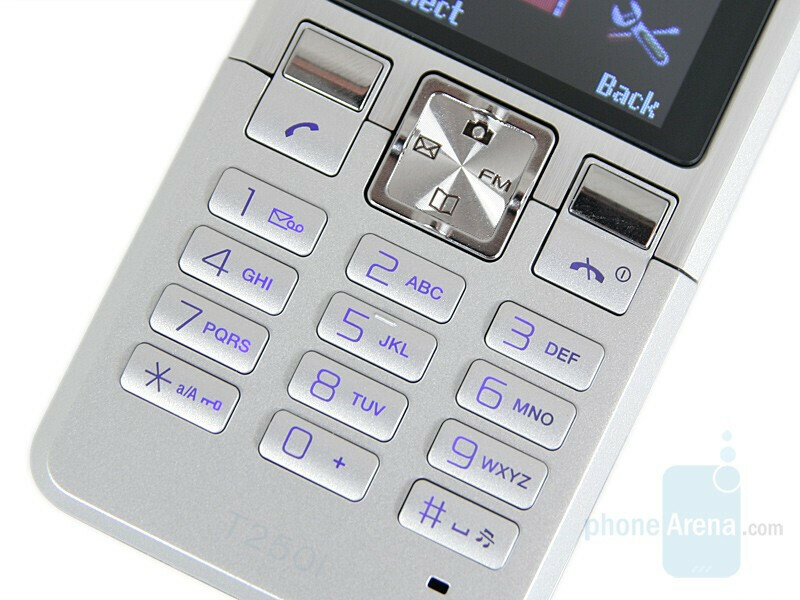 Overall, the T250 is a well looking entry level device, but if you need any functionality that is not basic, you won’t like it.